In the red column are the nutrients called Anion, which have a negative charge opposite of the Cation nutrients. The soil has a negative charge of various strengths called the CEC or Cation Exchange Capacity. For example sand has a weaker CEC than clay therefore clay can hold more Cation nutrients than sand. 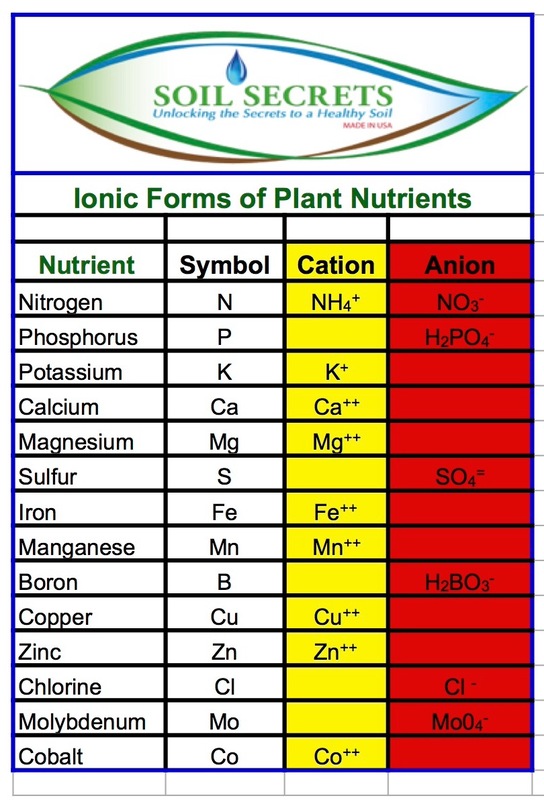 However the negative charge of soil will repel the nutrients that already have a negative charge, the Anions in the soil therefore cannot hold onto those nutrients. TerraPro however can hold both Cations and Anions by having the Mechanism of Action of a Chelation Overlay.